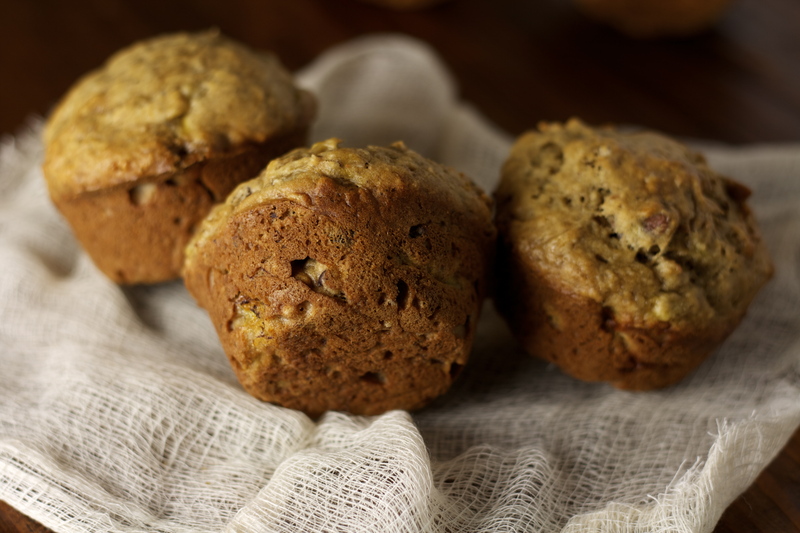 I was actually inspired to bake these bad boys when my sister-in-law (ahem, a new mom) told me she made my brown butter banana bread last week, but added pecans. 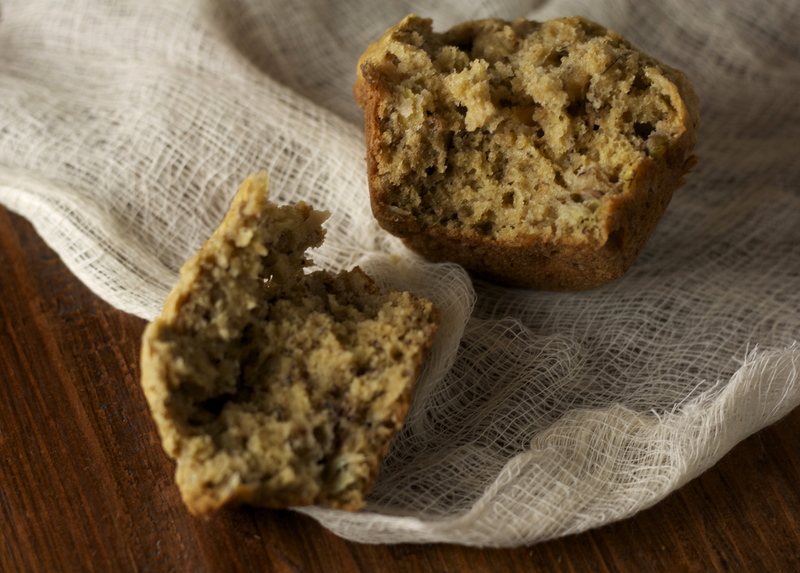 I prefer my banana bread without nuts, but damn did that sound great in muffin form. Still, banana bread is typically quite dense, and who wants a dense muffin? The solution was to add a bit of toasted coconut to lend it lightness. It’s almost indiscernible in flavor and texture, but it really does take it to another level, especially when eaten warm, even days later. The banana, as always, is what shines through most brightly. I actually asked my mom not too long ago how she does it all. In a nutshell, she said: simplify. 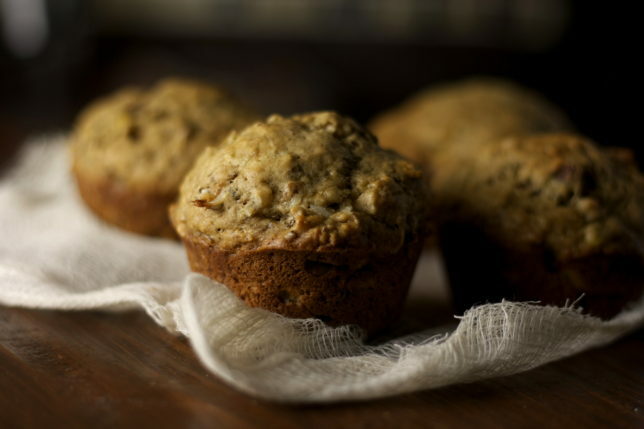 These coconut banana nut muffins fit the bill: they’ve been a pretty perfect to-go breakfast, and perhaps the easiest of all the muffins on this site, owing to the fact that it’s truly a quick bread recipe, baked in a muffin tin. Dump and pour, whisk and fold? In and out of the oven in 20? Sold, to the mom of two fluffy cats. Mom might not like coconut, but I think she’d approve. Here’s to you, Mom. Preheat oven to 350 degrees, and grease a 12-cup muffin tin. When the oven has preheated, spread the chopped pecans and coconut in a single layer on a rimmed baking sheet and toast in the oven, tossing frequently, until the coconut is golden brown, about six minutes. Meanwhile, melt the butter in a medium saucepan or skillet over medium heat and continue to cook, swirling the pan until the butter is a dark golden brown. Take off the heat immediately and let it cool in the pan. In a large bowl, whisk the all-purpose flour, whole wheat flour, brown sugar, granulated sugar, baking soda, and salt. Set aside. In a medium bowl, whisk together the mashed bananas, eggs, yogurt or sour cream, vanilla, and butter (I like to add the butter last to give it even more time to cool). Gently fold into the flour mixture with a rubber spatula until almost combined, taking care not to over-mix. Add the pecans and coconut and fold gently. There should be no streaks of flour, but again, do not over-mix. Doing so will create a squat muffin. Scoop evenly into each muffin well, and cook for 20-25 minutes, or until a toothpick inserted into the center of one of the muffins comes out clean. Let cool in the tin until cool enough to handle, then remove to cool the rest of the way. They’re best eaten warm. 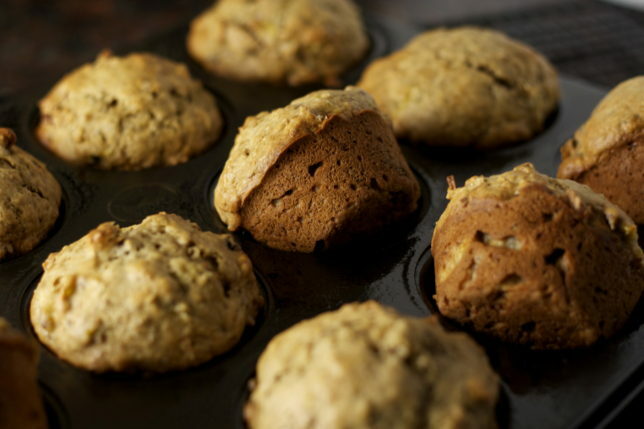 To reheat muffins and bring them back to life, even after storing in an airtight container for several days, place muffin in a 300-degree oven and heat for 5-10 minutes. Like new.